An unusual underground museum in a former bunker has opened its doors to the public in the Russian Far East. The bunker was built in Vladivostok to house the Soviet secret police and the ruling party elite. Engineers in Vladivostok have turned this underground shelter into a museum of Soviet civil defence. Now anyone can walk freely through its halls and tunnels. Although a radio set, a telephone, and piles of Lenin’s works is all that remains of the original items, visitors are still impressed. Built in the late 1930’s, the underground shelter had everything necessary for living and working. There was an electric power station, a water supply, and even home appliances in tha place. 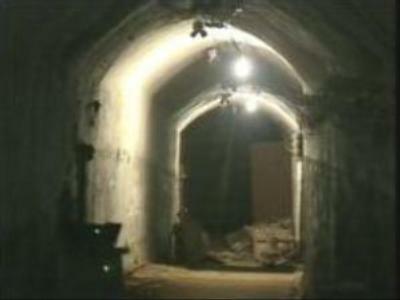 Civil engineers believe there’s much more to be discovered in the city’s underground fortress.